Further attempts to achieve such legislation were attempted through stealth, in that they concerned race more generally rather than Jews explicitly. These measures were also introduced, though unsuccessfully, with the assistance of willing White M.P.s with a track record of assisting Jews. Bleich notes that “a small number of individual Labour Party Members of Parliament repeatedly proposed antidiscrimination laws. In the early 1950s, Reginald Sorensen and Fenner Brockway each introduced ‘color bar bills’ designed to prevent discrimination against blacks on British soil.” Brockway attempted no less than nine times over nine years to achieve laws against ‘discrimination’ and free speech. Although the full extent of the involvement of these politicians with Jews is unknown, a record of Parliamentary debates shows that Sorensen had been involved in assisting Jews since at least the 1930s, even participating in a 1945 symposium titled “The Future of the Jews,” where he gave a lecture to his mostly Jewish audience on “Our Common Humanity.” We have evidence that around the same time, Brockway was breaking the law by assisting Jews with forged passports and documents enabling them to enter Palestine. Since 1945, the Board of Deputies of British Jews had also been working on drafting a “group libel law” that it eventually hoped to get passed in Parliament. Efforts to further tighten libel laws were made in 1952 when Jewish M.P. Harold Lever, introduced a Private Members’ Bill modifying Britain’s libel laws for the first time in over fifty years. However, Lever’s efforts were later mauled by a hostile Parliament to such an extent that by the time his Bill became an Act of Parliament, his provisions were not extended, as he and his co-ethnics had hoped, to cover groups. Britain’s first legislation containing any such provision as prohibiting ‘group libel’ was introduced in Parliament by Frank Soskice, the son of David Soskice — a Russian-Jewish revolutionary exile. Scholars Mark Donnelly and Ray Honeyford state that it was Soskice who “drew up the legislation” and “piloted the first Race Relations Act, 1965, through Parliament.” The Act “aimed to outlaw racial discrimination in public places,” though it was soon felt, in Jewish circles, that it hadn’t gone far enough. Crucially, the 1965 Act created the Jewish-led ‘Race Relations Board’ and equipped it with the power to sponsor research for the purposes of monitoring race relations in Britain and, if necessary, extending legislation on the basis of the ‘findings’ of such research. In 1985, another Jew moved to criminalize expressions of White racial solidarity when M.P. Harry Cohen introduced a “Racial Harassment Bill” to Parliament. 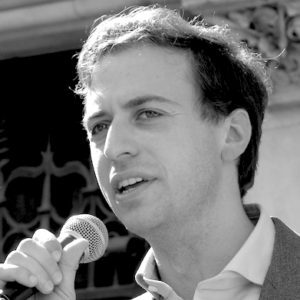 Scholar Rob Witte reports that Cohen’s attempt only failed because of “lack of parliamentary time.” The following year, Cohen made a second attempt, which failed, only for Jews to return to more stealthy methods when racial elements were included with the much broader Public Order Act (1986). The Public Order Act had been introduced to Parliament by Leon Brittanisky (renamed Leon Brittan) and supported primarily by Malcolm Rifkind, a descendant of Lithuanian Jewish immigrants. It was another clever piece of work. Brittan’s team had been tasked with drafting a White Paper on Public Order to deal with a series of miners’ strikes and demonstrations. Although issues of race were not remotely related to the events provoking the White Paper, Brittan saw that the government was eager to pass legislation restricting the miners as soon as possible and, sensing that the wide-ranging bill would endure little opposition, he ensured that additional elements were included, such as the criminalization of “incitement to racial hatred.” It is Brittan’s clever little addition which has posed problems for more vocal racial nationalists in Britain today, and which is being used in part in the CAAs war on Jez Turner. Moreover, further comment from the CPS has made it clear that the language employed by the defendant must have been “grossly abusive or insulting” or moved beyond reasonable “criticism” of a group, for a prosecution to be valid, since “it is essential in a free, democratic and tolerant society that people are able robustly to exchange views, even when these may cause offence.” At some point in the aftermath of Falter’s report to the authorities, the CPS made the decision that Jez Turner hadn’t said anything illegal and ceased legal action against him. Five months after the speech, Gideon Falter approached the Chief Crown Prosecutor for London with a view to discovering the charging decision in the case. He was informed by the CPS that Turner was entitled to free speech and hadn’t broken any laws. Falter then attempted to request a Victim’s Right to Review, a request that was declined on the basis that Turner hadn’t mentioned Falter and therefore Falter couldn’t claim victim status. Falter then used his influence to obtain meetings with both the Chief Executive of the CPS and the Director of Public Prosecutions, both of whom informed Falter that Turner simply hadn’t broken the law. At that point Falter, who has previously boasted of “holding the government’s feet to the fire,” issued legal proceedings against the CPS in his effort to make ‘anti-Semitism’ illegal, with or without legislation. Anti-Semitism is a certain perception of Jews, which may be expressed as hatred toward Jews. Rhetorical and physical manifestations of antisemitism are directed toward Jewish or non-Jewish individuals and/or their property, toward Jewish community institutions and religious facilities. The significance of the adoption of this nonsensical statement had less to do with the definition itself, than it had to its part in the larger effort to criminalize criticism of Jews. The adoption of the definition, in tandem with Jewish-orchestrated media propaganda about a non-existent rise in anti-Semitism, has been part of an attempt to weaken interpretations of the 1986 Public Order Act that lean towards protecting free speech. Falter has complained that “our criminal justice system is failing badly,” by which he means that the criminal justice system is not fully serving Jewish interests. The new ‘pawns’ pushed forward by Falter and his ilk are intended to convince the public, government, and the legal system that Jews, and not free speech, should be protected, and that they should be protected from criticism — because, after all, criticism is based on “a certain perception of Jews,” and is therefore anti-Semitic. The implication of this phrasing, of course, is that actual data on Jewish influence on the media or the political process (including enacting laws against free speech!) are removed from honest public discussion and debate. The question remains for all freedom-loving Britons and for all men of the West where this warning sounds: Will you surrender? One person who won’t is Jez Turner himself. I met Jez in person a little over a year ago in Stockport, England, and found him to be an intelligent and affable gentleman. He is not given to extremes, and is often considered in his choice of words and actions. We discussed history and politics over fish and chips, and literature during one (very windy) walk along the coast. A very talented speaker and organizer, Jez has given a lot to the cause in England, and has done so during periods where others have taken a back seat. In particular, his London Forum has been the lifeblood of the movement in Britain during the last several years. All of this, of course, makes him a valuable ‘scalp’ to our opponents, and the ideal target upon which to base the broader assault on free speech. P. Medding, Studies in Contemporary Jewry: XI: Values, Interests and Identity, 108. E. Bleich, Race Politics in Britain and France: Ideas and Policy Making Since the 1960s, 42. C. Knowles, Race, Discourse and Labourism, 172. D.S. Wyman, The World Reacts to the Holocaust, 617. C. Adler (ed), The American Jewish Year Book, 1953, 234. M. Donnelly, Sixties Britain: Culture, Society and Politics, p. 115, & R. Honeyford, The Commission for Racial Equality: British Bureaucracy Confronts the Multicultural Society p.95. R. Witte, Racist Violence and the State: A Comparative Analysis of Britain, France, and the Netherlands, p.71. T. Brain, A History of Policing in England and Wales Since 1974, p.104. The CAA is likely to be funded by George Soros but, like the CST and other Jewish charities, they do not reveal donors or committee members for ‘security reasons,’ a privilege granted only to Jewish organizations or those following their agenda. Tony Greenstein, an anti-Zionist Jew, is attempting to get the CAA de-registered as a charity. Taylor’s intemperate public posturing is noteworthy in the light of the above. There’s nothing to debate anymore. Jewish behavior is the root cause of anti-Semitism. Oh, to be a fly in the room during those discussions in which the Crown Prosecution Service faltered in its duty to protect its subjects’ basic human rights! The Jewish push to restrict freedom of speech through so-called “hate speech” legislation across the West (and its uneven application) is an excellent subject for a book and would prove an invaluable resource as we head into uncertain times. The truth is anti-semitic and justice is anti-white, good luck to him. He would have been better off attacking Israel instead of Jewish influence in the UK – at least he’d get the sympathy of any muslims on the jury when it comes to court. If what Turner said isn’t true, why are Jews protesting? Surely he is then just a man with a mistaken view of the world, but that shouldn’t be a crime. But it is. And they dominate the legal profession so you’d have a hard time trying to beat them in the courts. Anti-sem. is the confirmation of what one wants to deny, the J. eth. tribal supremacy. “An accusation that Augustus had repeatedly adopted as a legal pretext for the PERSECUTION OF DISSENT”. a good a place as any? Re. 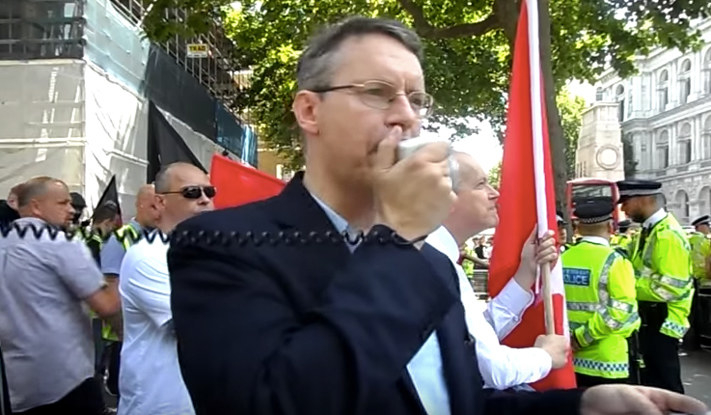 Jez Turner – a friend of mine recently had his own encounter with the enemies of free speech in Nth East Lincolnshire, in which he had his door busted-in by the Nth East CTU (Counter-terrorism division) and West Yorkshire Police. He was assaulted, threatened and forcibly and humiliatingly dressed by arrogant officers! What for you may ask? He was accused of setting-up social media accounts – in order to “incite racial hatred” allegedly, although they couldn’t even name the “alleged” accounts, or provide any screenshots lol! Anyway, a short while later they told him he was released with “No further action” to be taken! Furthermore, upon his return home he found a copy of the search warrant to the district Judge and it mentioned documents “supposedly” containing a list of Asian names – utter nonsense! It also transpired that a forensic team – including a sniffer dog was brought in, no doubt to search for these mysterious and non-existent documents lol! It certainly seems that the prosecution, trial and jailing of Mr Turner – not to mention the prescription of “National Acton” has certainly led to a general clampdown on freedom in the UK! I no longer have the moral stain of being born a jew. Last summer I accepted the rite of Christian baptism in a Protestant church given by an ordained minister as a member and officer of that church but not the pastor. I arranged it that way and the semi-private ceremony not before the entire congregation because I had the need to renounce and denounce the synagogue of satan and had taken the decision to follow in the footsteps of Jesus and Saint Paul in no longer being members of what can truly be called a satanic cult of worshiping the cult members and exalting themselves over others, which is the epitome of chauvinism and the opposite of Christ’s message of loving our fellows. While Christians aim to lover their neighbors the jews plot to increase their own wealth, satisfy their carnal appetites, and increase their group’s power to lord over all others. It took me fifty years after seeing that as evil to take a public stance to no longer be a part of that evil enterprise. I spoke about this on the Don Black hour of Stormfront Radio yesterday and today.